ST. PETERSBURG, July 20. /TASS/. 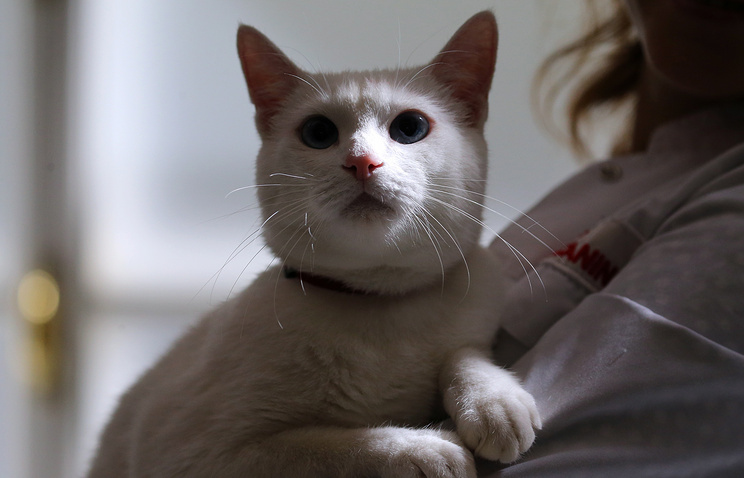 Achilles, a white-furred Hermitage male cat, who gained global fame after making predictions for the 2018 FIFA World Cup, has been adopted by his vet Anna Kondratyeva and her family, the Russian State Hermitage Museum employee Maria Khaltunen informed during a press conference. "We have considered 37 candidates, and people guaranteed that Achilles would have a happy life and that they would not come in the way of his social work: he visits hospitals and is very good at communicating with sick children," Khaltunen, the unofficial press secretary for the Hermitage cats, stated. "We have selected one final candidate, and many would agree that this is the best choice for Achilles - the Hermitage’s cat owner will be Anna Kondratyeva." Kondratyeva, the vet for all Hermitage cats, constantly monitors Achilles’ health and takes part in the events which involve the cat. In particular, she was one of the organizers of the World Cup predictions. Achilles, the white-furred and blue-eyed cat from St. Petersburg’s Hermitage Museum, started his career as a fortune teller last year, during the FIFA Confederations Cup. The employees of the museum selected the cat for his analytical abilities and unusual behavior. Besides, Achilles is deaf from birth, so he does not get stressed out at public events. Last year, Achilles correctly predicted the results of three out of four Confederations Cup matches that took place in St. Petersburg, including the first and final games. In preparation for the World Cup, Achilles underwent physical training - he worked out on special fitness machines to lose weight, and also participated in public events to socialize and get used to the attention from the crowd. Achilles applied his gift during the FIFA World Cup as well. He made predictions for eight World Cup matches - the opening game in Moscow and the seven games that took place in St. Petersburg. In the first four games, he flawlessly predicted the winners, and correctly predicted Russia’s victory twice. After that, he was named the best oracle of the tournament, but then his predictions ceased to come true: the cat has failed to guess the winning team three times, and his prediction for the match for third place was ambiguous. The Hermitage cats have become a tourism highlight of St. Petersburg in the recent years. There are special cat-themed souvenirs, books about the felines, and even a special tour of the city. Currently, about 60 cats live at the museum, and their number is always under strict control, so that the cats would not fight over their territory and would not get distracted from their direct responsibilities - protecting the museum pieces from mice. The Hermitage cats can be adopted by people who can prove that they have kind intentions towards these animals. In 2015, the British media named the Hermitage cats one of the most unusual tourist attractions in the world.